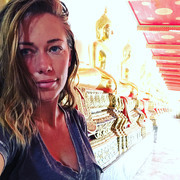 Kendra was, actually, in Asia to make a mother/son trip. In fact, only Lil Hank is with her. 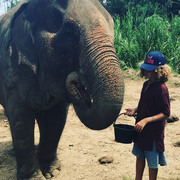 They was gone on The Great Wall of China and now, they travel in Thailand to see elephants and Buddha.